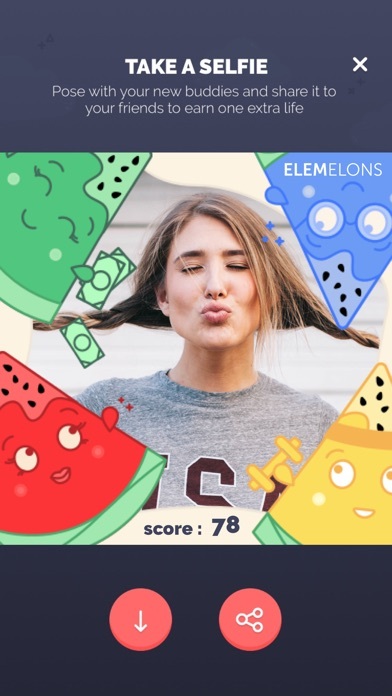 Elemelons is a new kind of addictive gaming app that is simple to use and lots of fun. For people who love a good challenge and are partial to beating their best score, this app offers literally hours of entertainment. While not recommended for young children as it has unprotected links, this is one app that older kids and adults will really enjoy. 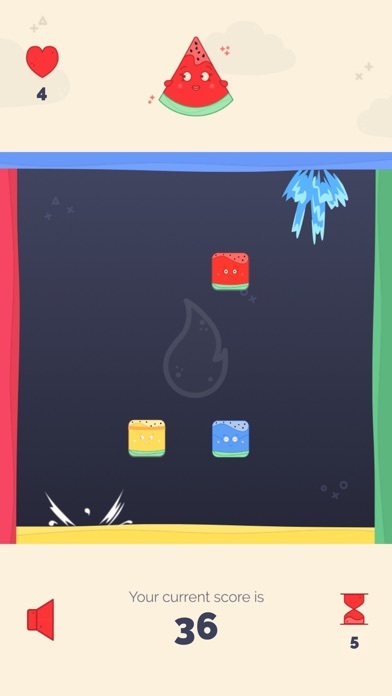 Elemelons is a very creative gaming app that offers awesome graphics and fun images. While the game itself is quite simple, the developers have added a ton of character and interest with the game increasing in difficulty. The functionality of the game is really easy to use as it only requires a simple tap and slide function to play the game. There is also a bit of a tutorial once you start the game to give players a feel for how it all works. Overall the quality is very good. Elemelons is certainly a highly entertaining and addictive gaming app. The concept is simple as there are only 4 Elemelons varying in color. The idea is to crash the correctly colored Elemelon to their corresponding side that is also color-coded and to do so quickly. 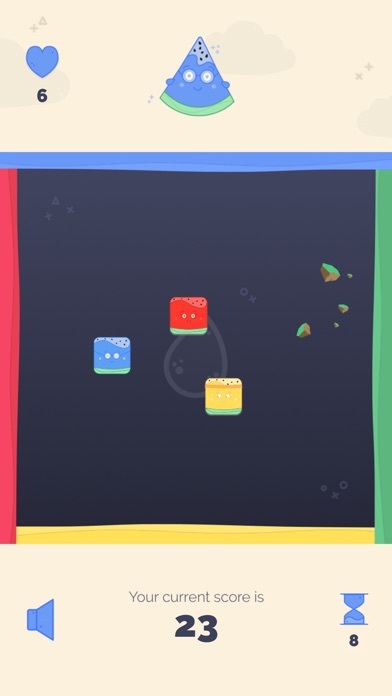 As the game progresses, there are more Elemelons that pop up and occasionally the corresponding sides move around, creating a bit more of a challenge. While trying to beat the last highest score, this game can easily become addicting and one that players are constantly coming back to because of how fun it is. Simple concept, but highly entertaining. What’s better yet is that this app is totally free! 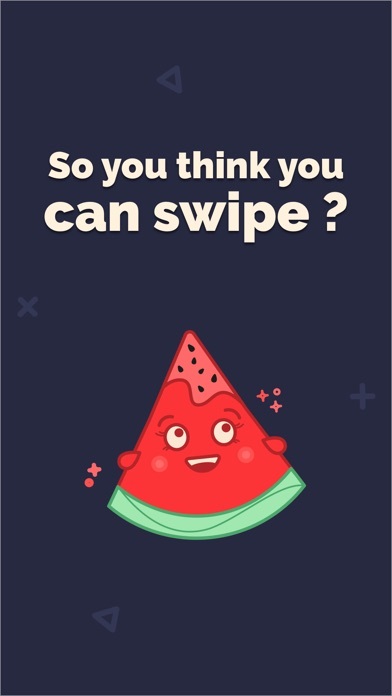 When you consider the hours of entertainment players will have with this app, Elemelons offers a ton of value. Unfortunately, while this app is easy to use and has a very simple concept, it is not one that parents will want their children playing as there are many unprotected links, video advertisements, and in-app purchase options that are not safe for children. Ideally these links would be protected through some sort of parent gateway making it a great app for kids, but as it stands, this is not recommended for children.